A third possibility is that the birds were deliberately adopted to make a specific point. 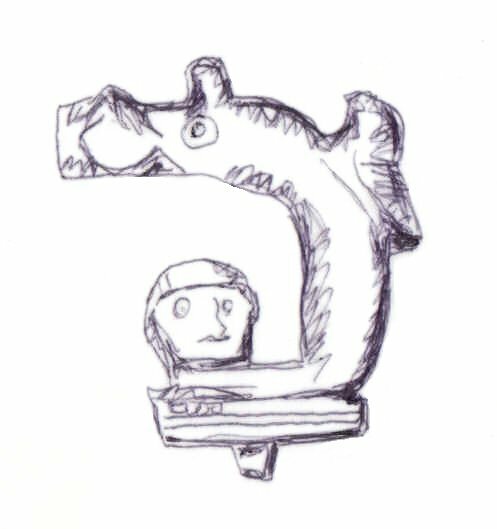 If one accepts that the dolphin buckles are a sign of the Roman military, then it is perfectly possible that any militia or semi-independent military unit in the late 4th century might have wished to develop its own instantly recognisable symbol. 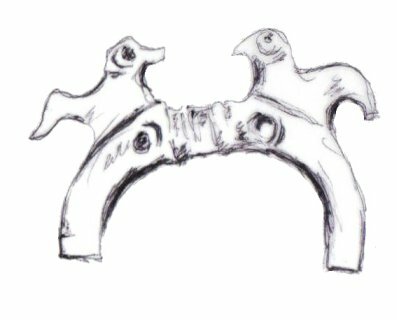 In an era where militiamen may not have dressed much differently from civilians, the sword belt would be an obvious place to locate such a symbol, and the free-standing birds would have been immediately recognisable. 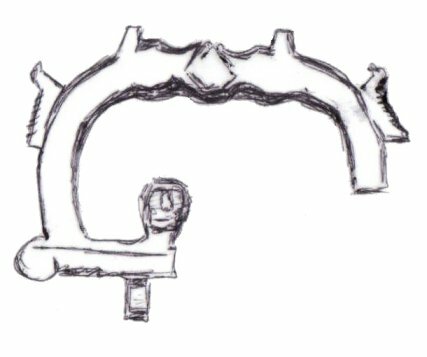 The fact the birds sometimes appear in multiples on the loop (6) and sometimes on other bits of buckle furniture (7) might be argued to support this view. 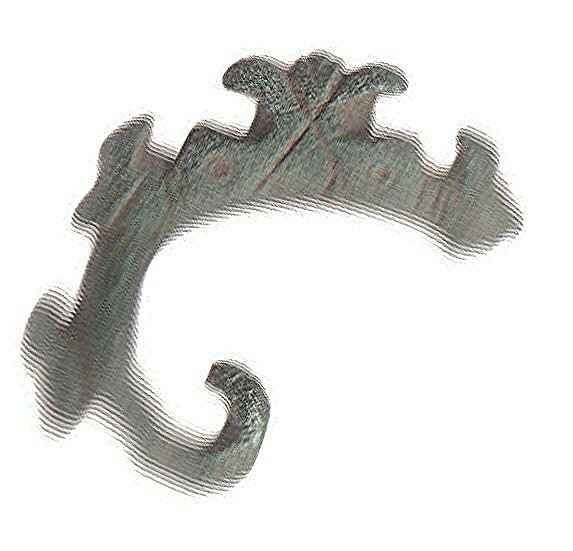 The bird buckles (with the exception of the D ring type, see below) are found in Lincolnshire and down into Cambridgeshire and the north-western part of East Anglia. 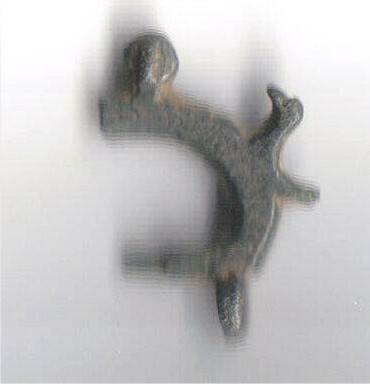 It is possible this area represented some sort of independent or semi-independent unit at the time of the end of Roman Britain, but more work is necessary to be certain. 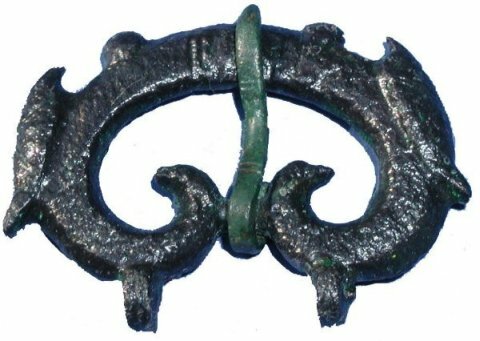 As has been noted elsewhere, uniformity of buckle design seems to decline markedly in some northern and eastern parts of England. 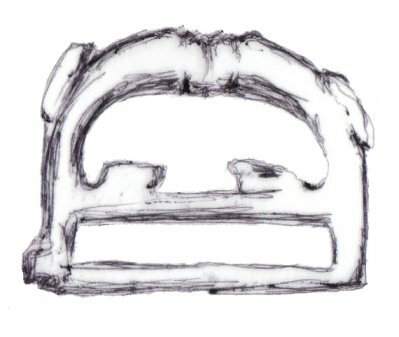 It is no surprise then that many of the bird buckles with their concentration in this area, are stylistically very diverse. Compare 6, 8, 9, 10, 11. 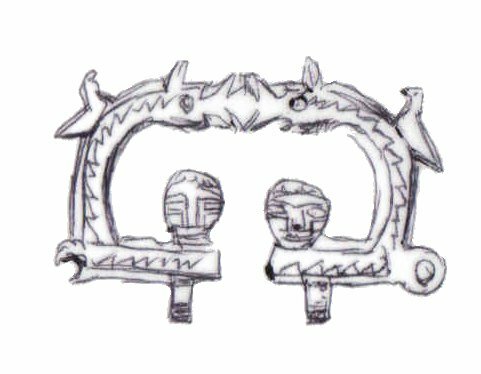 All are currently unique buckles with no close parallels though it could be argued that 8 and 10 with their separate bar and loop form something of a group. 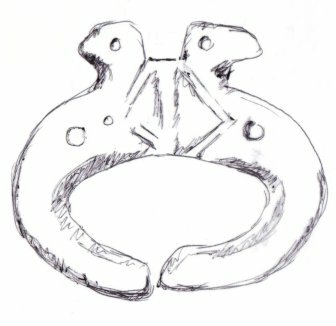 Equally, with their thin loops there is some similarity between 8 and 9, and the strange turned back shapes in the top centre of the loop on 6 and 9 have similarities, as they do with another unique non-bird buckle from the area (12). 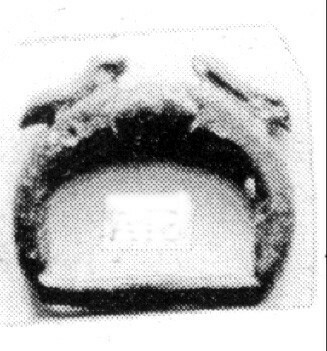 This group (1, 2, 3, 13, 14, 15) is found across the bird buckle region, and its main distinctive feature, apart form the birds, is the beast heads that take the place of the conventional dolphins. 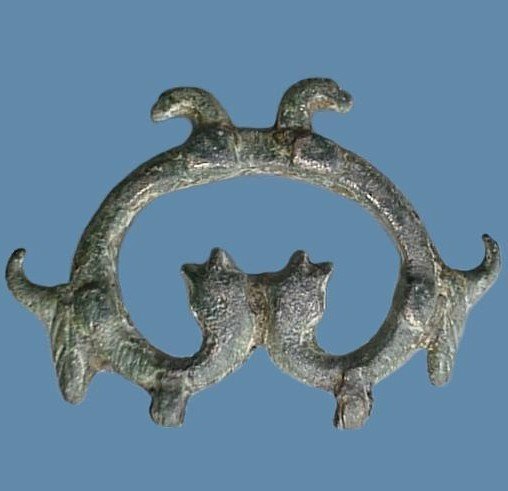 The heads in question are strange and in many ways look more like the heads on dragon buckles than dolphin heads. 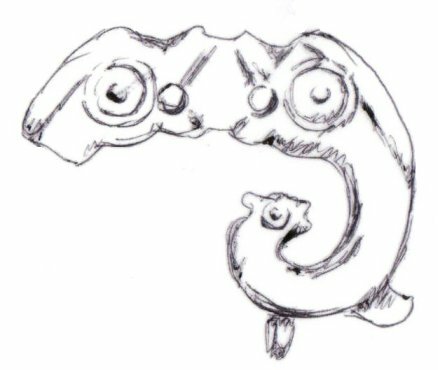 If so, they would be an extremely rare example of cross-fertilisation, between the dolphin and dragon types, which are usually kept completely separate. 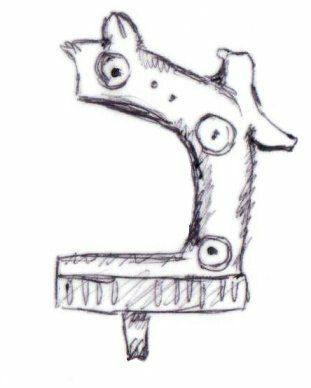 Some of this group feature human heads as terminals on the open loop, and are also discussed in the head buckle section (1, 2, 3). 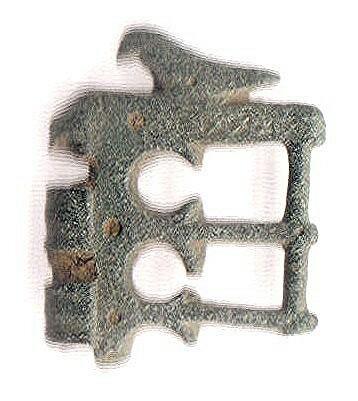 Only three (16, 17, 18) buckles have been found from this category so far, and of those, we only have a find spot for two. One of these is from Worcestershire (16) and the other is from Winchester (17). Both locations are a long way from the heartland of the bird buckles. 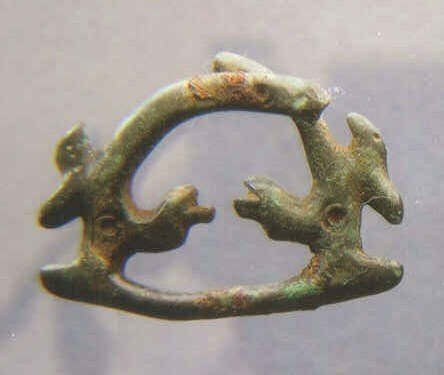 It is possible that the Bird D Rings are an entirely separate phenomenon from the other bird buckles, or, at the other extreme, that these are buckles that have strayed from the east, and we will in future find comparable examples in the same area as the other bird buckles.